A lot can happen in four seconds, the jump of a puddle or a wave goodbye. The Four Seconds Open Call is a celebration of spontaneous beauty captured through the camera. 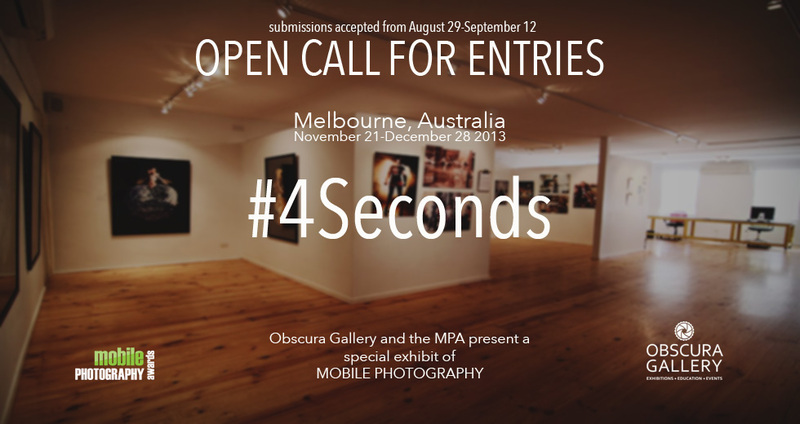 The Mobile Photography Awards (MPAs) in partnership with Obscura Gallery (Melbourne, Australia) are pleased to announce an open call for entries for artists worldwide to submit photographs and images created on mobile devices (phone and tablet) for the Four Seconds Exhibition – a fine art showcase for Mobile Photography and Art. 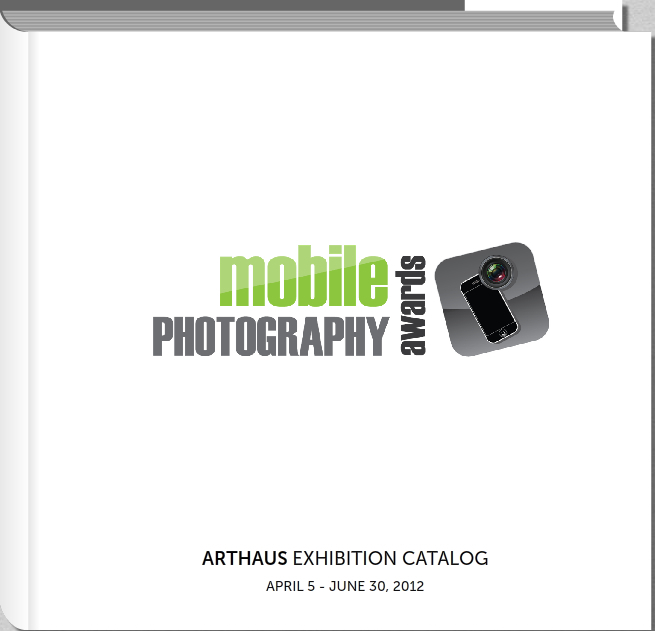 The exhibit will feature 25 images, as chosen by our jury. Submissions are open to artists worldwide from August 29-September 12, 2013. All chosen images will be exhibited at Obscura Gallery for a five-week run between November 21st through December 28th, 2013. The title of the exhibition is inspired by Obscura Gallery Director Gil Baker who found that capturing a spontaneous moment on a mobile phone takes about Four Seconds, from pocket to shutter button. We welcome all genres and styles of mobile photography: from straight photography to the more painterly and illustrative. 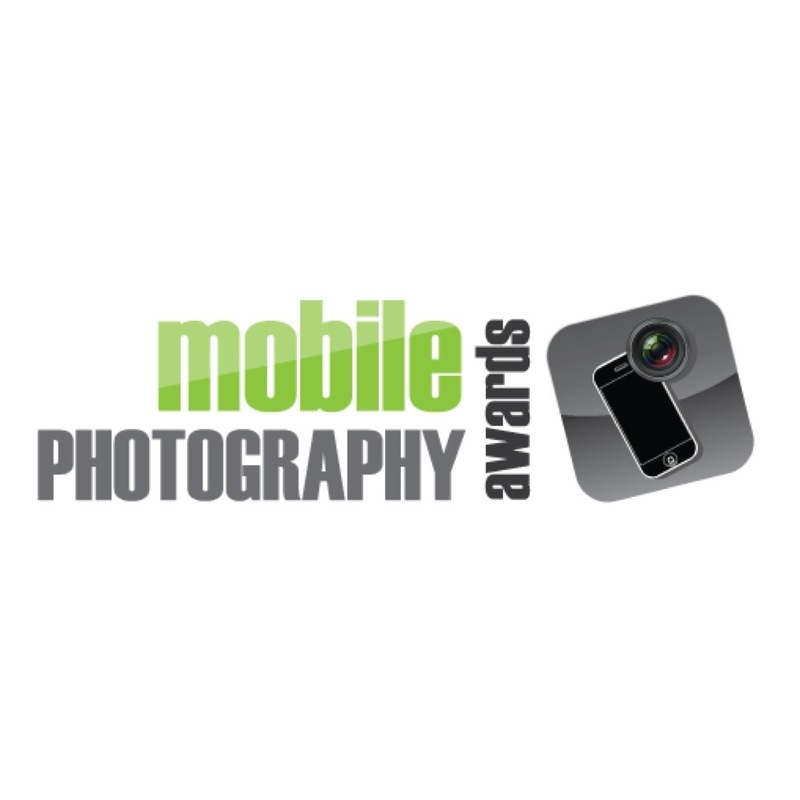 We want to feature the best images made on mobile devices. The Four Seconds Exhibition will be held in conjunction with a special set of photography events at Obscura Gallery, including the 2012 MPA Gallery Tour Exhibit and a series of workshops and presentations on the art and practice of mobile photography. The call for submissions is open for just two weeks – from August 29 through September 12, 2013. Images accepted into the exhibit will be announced the week of September 30th, 2013. Submission fees are in US Currency and are $15 for 1 image, $30 for 3 images, $50 for 6 images. Further information on the entry process and terms of entry are available on our FAQ. Since its inception in July 2007, Melbourne, Australia’s Obscura Gallery has propelled the photographic medium, together with a dedicated team of gallery staff and passionate fine art and documentary photographers. The gallery incorporates a variety of media into its exhibition program, including photography, collage, painting, new media and installation. Obscura Gallery displays a wide cross section of contemporary art forms and collaborates with artists working at the forefront of their practice, as well as artists in the earlier stages of their development. The Mobile Photography Awards were founded in 2011 to recognize and celebrate the genre’s leading mobile photo & art talent. With exhibits, open gallery calls, and an annual top prize of $3000, the MPA is the largest event of it’s kind. The MPA is thrilled to partner with one of Melbourne’s leading photographic galleries for these exhibits – it’s a wonderful opportunity to expose some of the best artists in the mobile photography and art community to gallery patrons from down under! Australia has always been a hotbed for mobile photography – some of the most celebrated artists in the genre hail from OZ and the MPA is very pleased to be a part of the exhibits, festivities and events in Melbourne at Obscura Gallery.